The CEOs of American Airlines and Delta aren’t in a hurry to make coach seats any more comfortable in the foreseeable future. American Airlines CEO Doug Parker told The Wall Street Journal he rides in coach roughly one-third of the time enabling him to get the same experience as the company’s customers while Delta CEO Ed Bastian said there won’t be changes to seat sizes any time soon simply because airlines aren’t losing money and that’s typically a response to poor performance. American Airlines and Delta are a bit notorious for their tight coach seats in addition to legroom up to 2 inches shorter than JetBlue or Southwest offerings. 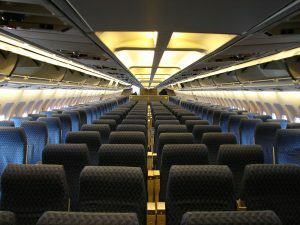 I think I speak for most of us in that I can deal with the small seats as long as my flights aren’t constantly getting delayed. For now, when it comes to tight coach seating, we don’t have a choice.